Previous PostIl Volo Off Stage: Imitation Is the Sincerest Form of FlatteryNext PostIl Volo Professional: Amici! Thanks Kelly for a look into the customs, traditions and history of Easter in Italy. Many of these traditions have come to America , passing on recipes is a wonderful way to celebrate our Heritage and most important religious believes . The photo on your post of Pastiera di Grano (Easter wheat pie) is scrumptious. I made three pies this year not as good my Mom made but I came pretty close. Bouno Pasqua, Happy Easter to all from Brooklyn ! Happy Easter to you, Have a blessed day! Jeannette,Thank you so much for that wonderful Giglio Feast video with that beautiful band sound. They can take the girl out of Brooklyn but they can’t take the Brooklyn out for the girl. I haven’t been to the Giglio feast in years , thanks for the memories. The music and magic of IL Volo has touched an emotional cord in me that has made a positive effect in my life. It was a Brooklynite that first introduced me to IL Volo, Thank you! Buona Pasqua, Vincent! It’s funny, I don’t think it matters which culture you are from; somehow, it’s never as good as Mom’s. 🙂 Enjoy! Have a safe and blessed Easter. Nice day for a little Il Volo music. 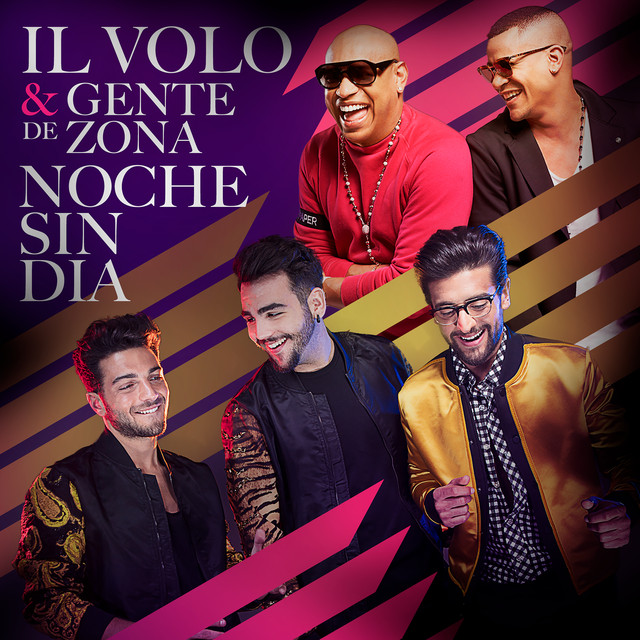 Heck…everyday is a nice day for a little (or a lot of) Il Volo music! Easter Blessings to all the lovely people who come to this wonderful site We are all connected through these three amazing young men who spread their love through us to the entire world. Kelly, I enjoyed your Easter in Italy post! Grrazie! I read such sweet comments from all the Il Volo fans every day. I thought we were the only ones in love with their music so much. And Happy Easter to all of you. Now that I see what a wonderful time it is in Italy for Easter, I wish we were going earlier. I never thought this trip was going to be so complicated. My little service dog (Phoebe) needs a complete exam – exactly 10 days before we leave- and her records have to be sent overnight to some federal agency to be checked over and then overnighted back to us so she’ll have her own little passport. I’m supposed to have everything translated into Italian just in case we run into someone who doesn’t like dogs…… Really? I don’t go anywhere people don’t like this sweet little dog. Phoebe and I wake up every morning to Il Volo music. It just makes us smile. I’m so glad we are not alone in thinking we have found something so special in these singers. I watch a concert every day on YouTube and it’s so healing. This site has been such fun for me to read every morning. I love all your comments and little insights from everyone’s experiences after the meet and greets. I’m a little hesitant because I so seldom go out and this trip is going to be huge for me. I hope I can find some WiFi and share some of the trip and concert with you friendly people. Whomever set up this site has brightened all my days since I found you and I thank you so much. Easter Blessings to all of you from Minnesota. Do not get discouraged. I know going to Italy is more complicated then Las Vegas but all the “obstacles” will be worth it. Just imagine hearing them in Italy. I know we all will want to hear your experiences. Enjoy your trip! Can’t wait to see and hear how it all went. Once there, I’m sure seeing and hearing The Guys in their home country will be an amazing experience! Happy Easter, and may you and and precious lil Phoebe enjoy every moment of Italy and Il Volo. Hi Jeanette, This trip has been a little scary- there is so much to do. Does anyone know contacts in Rome? I don’t really know where people buy their tickets. Jay found some better seats for me since I can’t walk and he could get me into seats that are closer to the front. He found them on a site called My Way Tickets. I was wondering where people get their tickets in Rome or for the Italian shows. The Flight Crew has been such a treat for me and my source for so many things Italian that I thought maybe someone might know the best place to get tickets or do you call the venue they are holding the concert? I’m sure I can sell or give away the tickets we got earlier. I’ve never done anything like this and it’s such a big deal for us that I don’t want to screw up. If anyone can help, I’d love you all the more. After all the Easter celebrations, I’m so sorry we couldn’t take more time and be there for Easter too. Thank you for any ideas.. Victoria Wilson. Doc and Victoria, don’t forget to include photos of Phoebe enjoying the concert too! Phoebe sat in my lap with her eyes glued to those singers. I wonder what she was thinking because we listen to them every day. I will for sure keep in touch where there is WiFi and send pictures if I can figure out how. Happy Easter. Mary, Jeannette, Joanie, You’re welcome! I’m glad you enjoyed it! Happy Easter to you all! Happy Easter to all the crew. The second picture you posted was made in Florence’s Piazza Duomo, although not shown in the photo at right is the Duomo (Santa Maria in Fiore), what you see in the center of the square is a chariot full of fireworks. In the Easter mass, around noon, the altar inside the dome is turned on, a dove (fake) hanging by a thread. The dove runs along the aisle out of the cathedral and heads to the chariot in the square. If the dove is strong enough that the chariot is hitting ignite the fireworks , means that Florence will have a prosperous harvest, otherwise not. Is a beautiful tradition to which I had the pleasure of attending a few years ago. The dove today was very good, there were lovely fires, so Florence will have a good harvest. Thank you, Daniela. What a neat tradition! Jana, I realized there was Franz after reading the comment of Jill ………, that cute name, I had not noticed, but which have observer? Well I just sat down after a long day preparing and serving our traditional Easter dinner. For our family we make homemade cappelletti which means little hats served in soup, lamb & of course for dessert pastiera. My pastiera has rice added to the ricotta. Grandkids love it! Happy Easter, Buona Pasqua to all and thank you Kelly ! Dr. Jay and Victoria Wilson…where are you located in Minnesota? We have a nice group of Il Volo lovers right here in your state! We live in various places…Rochester, Duluth and the Twin Cities. Would love to have you join us when we get together next! Mary Ceminsky – we live in Minneapolis (and I grew up on Pike Lake for those in Duluth). It would be fun to get together if you ever meet in the Twin Cities. 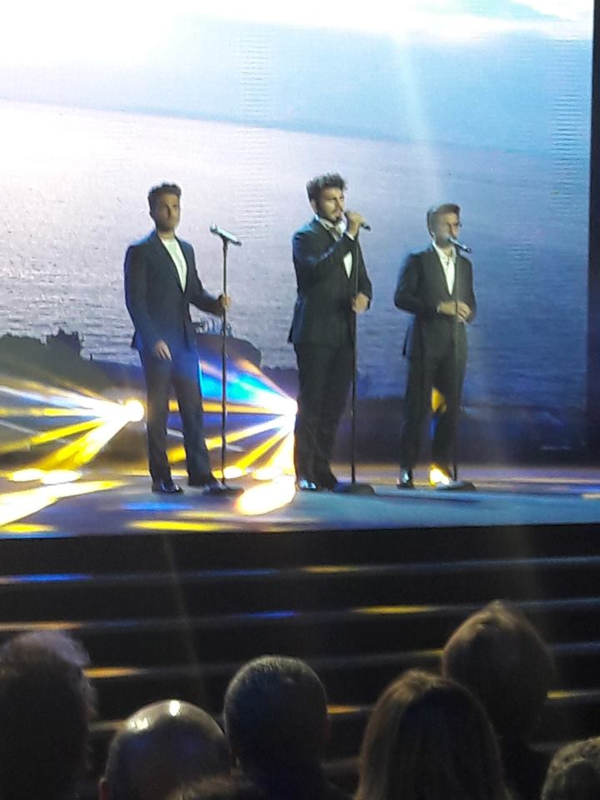 We always have been attracted to great voices and Il Volo has stolen our hearts. Dr. Jay and Victoria, we are so close, this is wonderful! We have been having our get togethers in Bloomington. I think we will be having one this spring or summer for sure. I actually grew up in St. Paul, but am in Duluth now. We get together a couple of times a year. There are about 8 of us in this group thus far. We, too, have a great love of beautiful music and were brought together through our love of Il Volo. I will contact you soon! Jana, I laughed out loud at your sky writing suggestion. We gave away so many Il Volo DVD’s to friends who also fell in love with them. Seeing them in person was just indescribable and we can hardly wait for them to return. I’m going to love meeting them in person. Yes, you will be amazed at how wonderful they are! Dear Mary Ceminsky, I grew up with classical music and maybe you’re too young to remember a show called Star Search with Ed McMahon. The winner-Linda Eder-still enchants us with her voice. She’s like another daughter to us and I guess we will always be drawn to ordinary people with extraordinary talent. Google ‘Linda Eder’-our dearest friend with a 4 octave range voice. We are were ecstatic when Il Volo won over our hearts. Beautiful pure voices have always diminished pain for me and these young men will give me years of joy. Please let us know when you meet and we will be there. We will love meeting everyone and joint the travelers when Il Volo return to the USA. Hi Vincent, I must agree with you that Il Volo is the best entertainment in the world today. There is no question and I melted the first time I heard them. They’re young and they’ve grown considerably since they began. It’s such a joy to be able to see them in Rome. The world is blessed to have their voices. We’ve known Linda Eder since she began her career. They did all the orchestration for Star Search at our house, and our daughter went to LA with her for the shows. Linda’s still a wonderful entertainer and loves her son, horses, and country life even more. She and Frank are divorced, good friends, and she still records his music. Check Linda’s “Unusual Way” – no video but such a pure voice. And I also agree Il Volo has touched an emotional cord in both Jay and myself. It’s hard to believe we will see them again in Rome. This site is a treat in so many ways. I’m glad I found all of you to brighten my day and get so many tips for our trip to Italy. Dr and Mrs. I sent you Jane’s email address as she requested. You will love her and the rest of that crazy group! When I read all these wonderful comments of new friendships laced through IL VOLO, I am moved and I think it’s really a beautiful thing, another of the powers of our grand guys. I remember Star Search! Will have to check it out! When you do see the guys, be sure to mention the Flight Crew and that you read it and are a member. They know who we are! 🙂 There was an interview a while back when the guys were in New York last year and Marie was in Italy. Gianluca gave a special shout out to the Flight Crew! Jay’s making Phoebe a Flight Crew pin too. I gotta go see some babies but when I get home I look forward to watching these!! Thank you and Buona Pasqua to all!! !